Has Bob Dylan been singlehandedly keeping long narrative ballads alive in the public mind? Maybe not entirely singlehanded but close to it. Can we even follow a narrative of more than two minutes, in our time of micro-bullet points? If the popularity of podcasts is any indication, yes, we as a society still like to follow long narratives. However, I don’t know of very many narrative bards singing long tales and being wildly successful doing it. Bob Dylan’s job is not yet up for grabs, Bob Dylan being still alive and all, but eventually it will be, and who will step up? Bob Dylan is talking about his ex-wife again, wondering where and how something that began so beautifully went wrong. You and everyone else alive, Bobbo. As much as I feel sorry for the pain of your failure to stay married – and everyone’s – in the long run it was the whole world’s gain. The gain of songs like this one is the lucky by-product of burned-out love. The fuel of creativity is the only thing that redeems our interpersonal failures. If it didn’t feed some artistic drive, all that heartbreak would be for nothing. Not everyone, of course, has an artistic drive to fuel, or knows how to channel their frustrated emotions into productive ends. It’s for those people’s sake that great artists have to suffer. The Bob Dylans of the world suffer and write about it to redeem the pain of all the not-Bob Dylans who don’t have an outlet to give their own suffering dignity and meaning. It’s almost Christlike. The irony is heavy in the title of this one. This is a woman who plainly does no such thing as belonging to anyone. Maybe in your dreams, Bob. 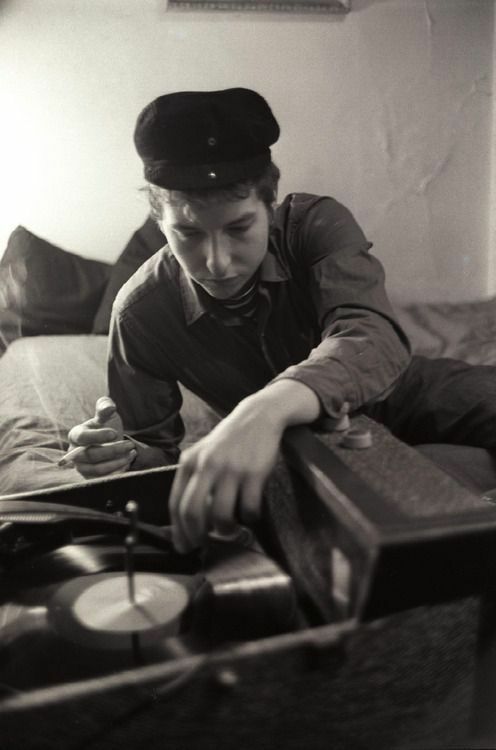 No conversation about songs about…well, anything… would be complete without Bob Dylan in it. In this case, it’s songs that seared themselves into my little half-baked child mind and became cornerstones of my future identity. (We’re also ostensibly discussing songs about women, which dovetails neatly.) Between this and the Velvet Underground’s Femme Fatale, I pictured in detail the woman I wanted to be, or maybe I recognized the person I already was and felt validated. “She’s got everything she needs, she’s an artist, she don’t look back” sang Dylan “She never stumbles, she’s got no place to fall.” She’s the ultimate muse because she’s got no interest in being any muse at all. She’s so radically self-contained that great men have no choice but to write songs about her, knowing that they’ll never really have her and she’ll never really need them. I’m an artist too, I get it. I know what inspiration feels like. Inspiration comes from wanting someone you can’t really ever have, or maybe you have them for a minute but they’re already halfway out the door even when they’re right beside you and you both know it. Artists write and paint and compose about the muse because the muse is unknowable. The muse is compelling because she (or he or they) is incapable of seeing the artist the way the artists sees her. If she needed him as much as he needs her, she wouldn’t be a muse, she would just be another needy person. Needy people reveal themselves, they open themselves up, they want to be known and seen and understood, they’re looking for someone to complete them, they’re ready to compromise and communicate and to be vulnerable and to sacrifice pieces of themselves in order to feed the union, and in that they are boring. They’re the wives and husbands who do the right thing and stay and forgive and do the work of making it work and lose their own identity behind an ampersand. They’re suckers. Nobody writes songs about those people. Songs are written about the ones who walk away and remain themselves. When we want to hear songs spilling over with bruised emotion and intimate personal revelations, Bob Dylan is not who we usually turn to. Dylan’s not one of those guys who constantly mines his own inner life for material. Dylan has better things to write about than his stupid feelsies. But even the mighty break down sometimes. Facing an oncoming d.i.v.o.r.c.e. 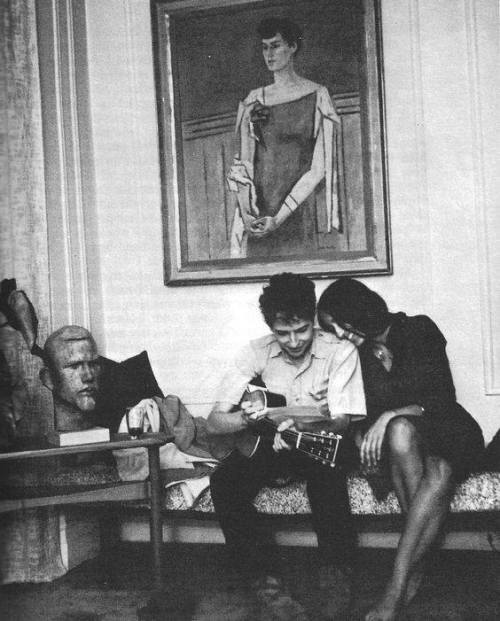 even Bob Dylan finds that his heart is suddenly right there on his sleeve, bleeding all over the place. Bob Dylan needs no introduction and defies interpretation. 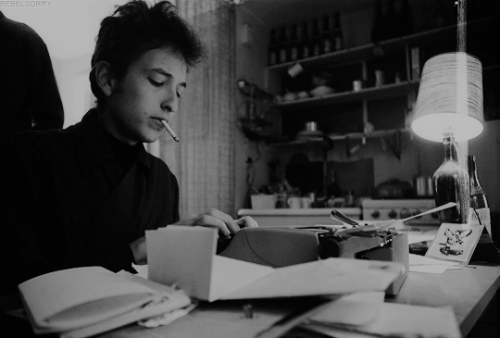 (That’s the literal definition of “Bob Dylan”) I’ve certainly got no special qualifications to add to the oceans of commentary already out there. I don’t really want to read any more of it, either. If anyone should have their commentary noted, why not Tom Waits? He’s more qualified than anyone. 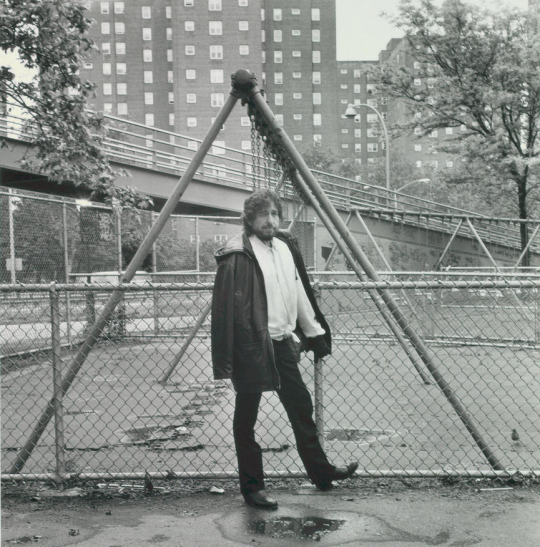 Bob Dylan pays tribute to his dearly departed friend John. Lennon, that is. It’s a moving ode, and an honor, one legend to another. Why Dylan felt compelled to light this particular candle in 2012, as opposed to, like, 1981 is unclear. Maybe the pain was too great. Maybe thirty-odd years is just how long he needed to be able to articulate something. Maybe to have written a song any closer to the fact would have felt wrong, trashy, opportunistic. Maybe it’s not helpful or kind to react to a friend’s tragedy by going all ‘great American songwriter’ about it right away. John Lennon, of all people, never needed to have “Eulogized by Bob Dylan” added to the end of his obituary. It certainly wouldn’t have burnished his star any brighter. So maybe it’s just out of respect that Dylan held back his eulogy a few decades. Either way, it’s a touching gesture. Why he chose to sing it in extra-emphysemic mode is another question, especially since he’s been on a standards-album kick lately and he can still croon like it’s Lay Lady Lay all over again. 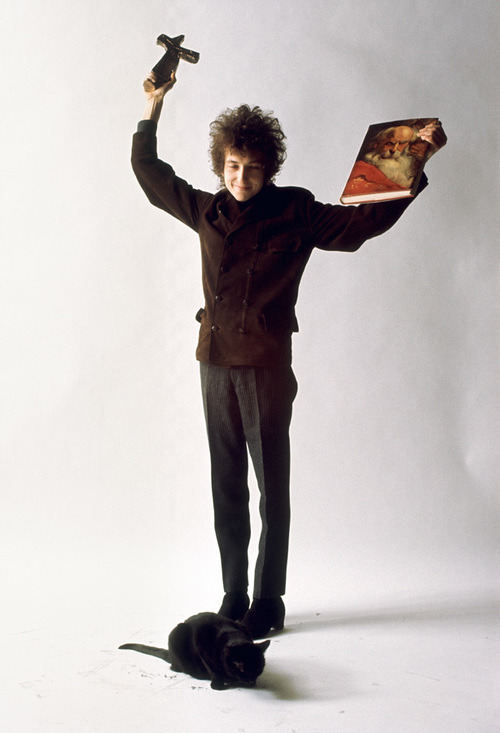 Oh, well, Bob Dylan moves in gnomic ways. This. Either you get it or you don’t. There’s no particular cosmic secret to it or anything. It’s a just a joke. You’re either in the spirit of it or you’re not. 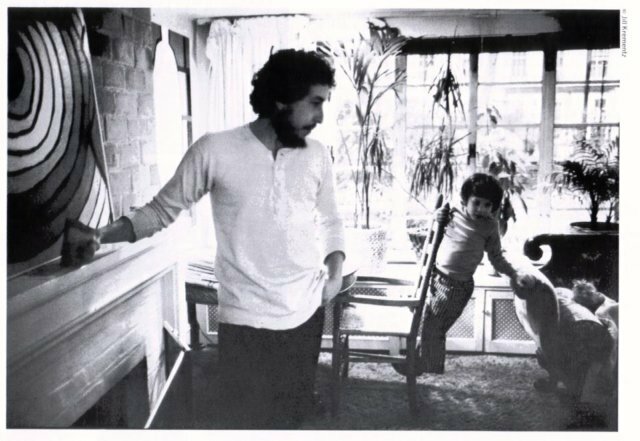 Bob Dylan is divisive like that, and this one of his most intensely love-it-or-hate-it moments. I can definitely understand that if you don’t happen to be a fan of incomprehensible lyrics or people who sing like drunk frogs, Dylan can be excruciatingly annoying. Which also happens to make him appealing to people who enjoy the knowledge that the things they’re into are annoying to others. That may be part of the reason why, in his heyday, his followers dubbed him the voice of his generation. Because the young generation really made it a point to confuse and irritate their elders; it feels so revolutionary and radical when the things you enjoy are closed off to outsiders who just don’t get it, man. But that’s just a common trait of being young and eager to break the apron strings. That’s why there’s been so many annoying subcultures based on annoying things. 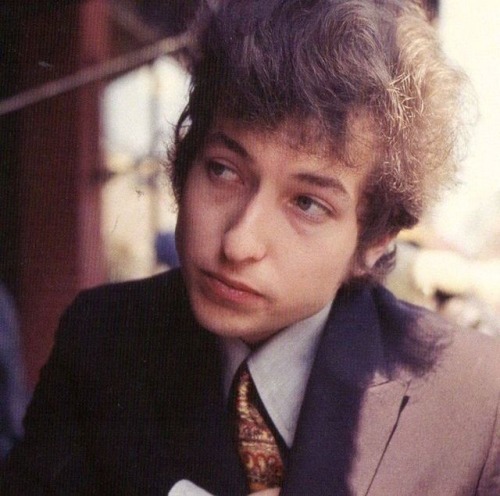 Bob Dylan, for his part, found the phenomenon of being the voice of anyone but himself extremely annoying, and spent a great deal of time and energy trying to alienate his own fanbase. He didn’t mean for his funny joke song to represent the enmity of generational groups and the cultural disjointment caused by radically changing values. It just happened to.